The Atherton Tableland is rich in biodiversity including microbats, so we get a wide variety of species coming into care. 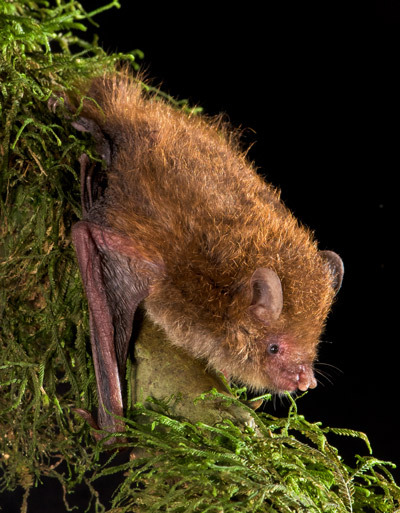 This is a large striking-looking bat weighing 32 -57 gms. We have only ever had one come into care and she has been with us now since August 2014. We call her Lady Di, after her common name. She was caught on a barbed wire fence and lost some of the finger bones in her wing. She can still fly a little but we don’t think enough to catch insects on the wing. She has done very well in captivity, eats well and keeps herself well-groomed. One summer she had a moult, losing about 50% of her fur but it quickly grew back as thick as before. This species has been described by Sue Churchill as having “a formidable set of teeth, strong jaws for crunching beetles and an unpleasant and tenacious disposition”. Most researchers only encounter them caught in mist nets where their disposition may indeed be ‘assertive’. We rescued Lady Di from entanglement on a barbed wire fence late in the day, and she has always shown a calm easy disposition. She’s a favourite with the tourists that come through our Visitor Centre, and of us. She readily echolocates to see, seeming not to use her extremely small eyes at all. This makes it very easy for us to demonstrate our bat detector and explain echolocation calls. They are a cave-dwelling bat that is only found in far north east Queensland. We have only had one of this species come into care. It was caught on a barbed wire fence along a creek. Unfortunately it died in care 3 days later even though it ate well. This spider-eating specialist is very distinctive in looks and behaviour, and occurs down the east coast of Australia as far as near the Victorian border. It normally roosts among leaves and epiphytes as well as abandoned nests of of yellow-throated scrub wrens and brown gerygones. A friend of mine found them roosting in the floppy head of an old mop. We bought a mop head for ours to roost in, as well as offering alternative accommodation in pouches, hanging material and she always chose the mop head. This photo shows a group in the mop. The normal brown version of this species commonly comes into care, but we have also had 3 albinos, all from Cairns. 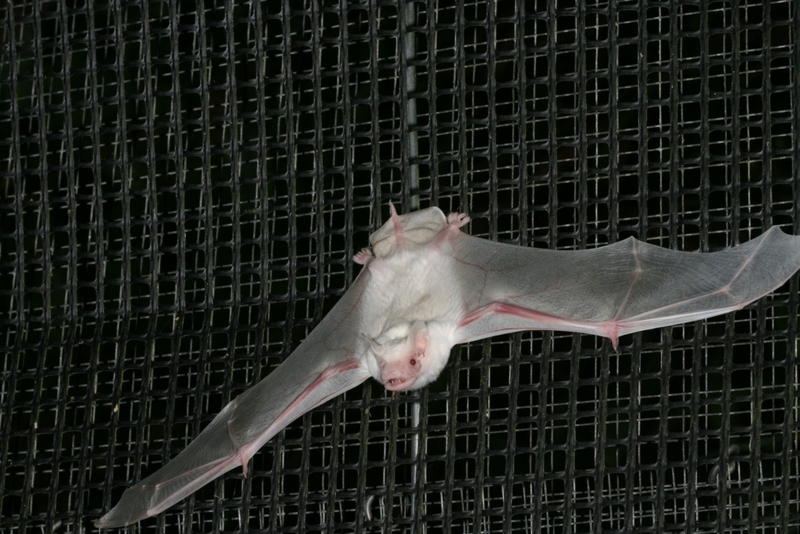 This is the only microbat species we’ve seen as albino. We have only had one for these one into care from this area, though several have come to us from near Townsville. 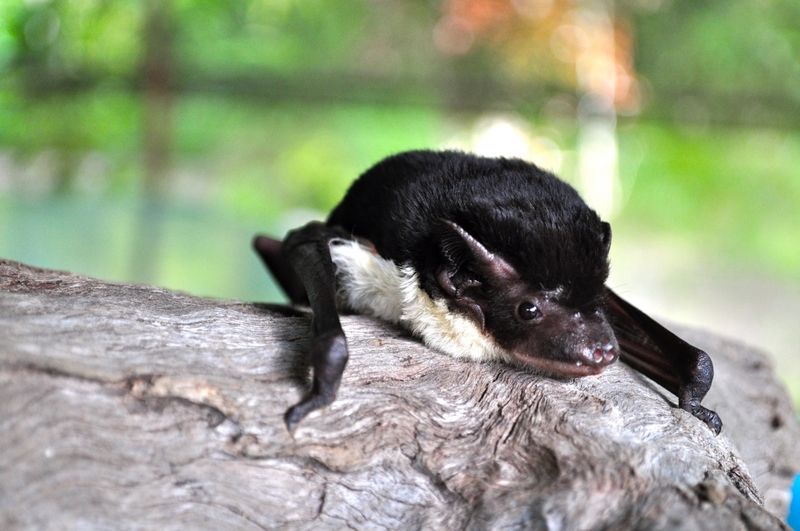 They are a large striking-looking bat, shiny back fur on their backs and contrasting white fur on the belly. In captivity they quickly learn to self-feed mealworms from a bowl. We have found them quite reclusive, not readily venturing out of their batbox, and not wanting to share it with others, even of the same species. Lovely photo of Muruma florium, taken by Bruce Thompson. This distinctive little bat only occurs in Australia in this far north-eastern part of Queensland. Someone found her in a garage in December 2016 and brought her to us. Excitement++, especially as she appeared to have no injuries. She was a vary calm bat in captivity, eating whole mealworms quite voraciously. We released her about 5 days later. Murina has long soft fur that extends over most of the trail membrane and thumbs that are unusually long. 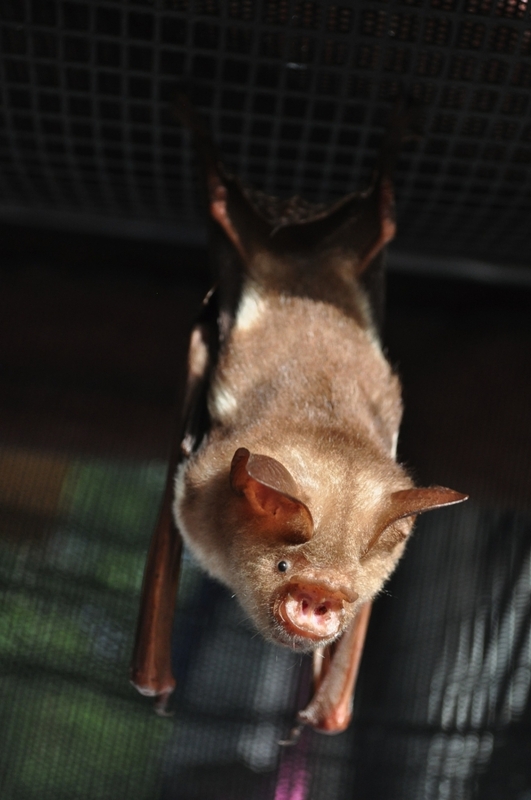 They have an extremely large olfactory (smelling) areas of the brain, and tubular nostrils, suggesting their sense of smell is well developed, an unusual characteristic for a microbat. We offered her some fruit and fruit juice but she showed no interest. 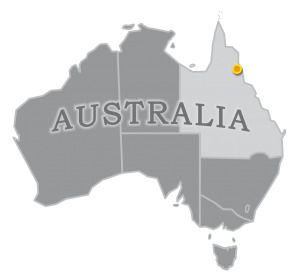 Distribution and habitat of the flute-nosed bat Murina florium (Chiroptera: Vespertilionidae) in the wet tropics of north-eastern Queensland. 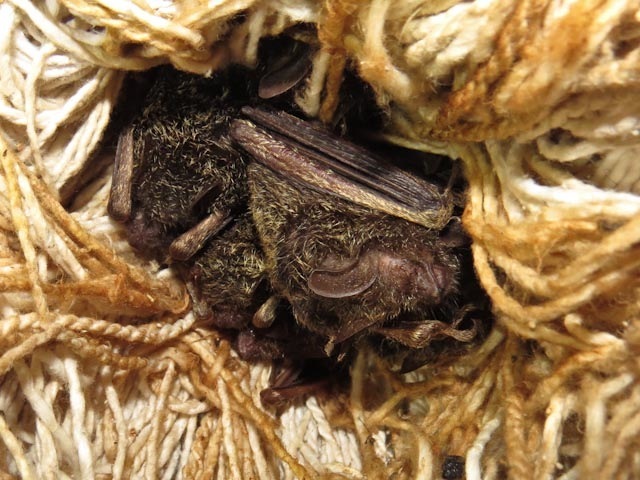 It was first discovered at Mt Baldy State Forest which the Bat Hospital borders. Watch Murina eating mealworms (below).